Make a special effort this month to be a blessing to your mate. The Old Testament tradition of giving a blessing had several important ingredients. Use this framework to be a blessing! It may not always feel like it, but you were abundantly blessed with the gift of your spouse. Scripture reminds us that, “The man who finds a wife finds a good thing; she is a blessing to him from the Lord” (Proverbs 18:22). And ladies, the Bible tells us that, “Every good thing given and every perfect gift is from above, coming down from the Father” (James 1:17). Your husband is one of those good things and perfect blessings that have come from the Father. Make a special effort this month, to be a blessing to your mate. The Old Testament tradition of giving a blessing had several important ingredients. Use this framework to be a blessing! 1. Plan a fun date together. Choose a special restaurant that you would both enjoy. Sit together, hold hands, and enjoy each other’s company. 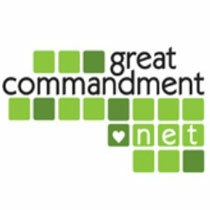 During dinner, apply the principles of the Old Testament blessing as a way to demonstrate your love for your spouse. First, move close to your partner and give meaningful touch. Qualities you might affirm in your spouse include: generosity, forgiving spirit, patience, kindness, loyalty, gentleness, boldness, courage, diligence, enthusiasm, gratefulness, hospitality, etc. Enjoy the closeness that sharing a word of blessing brings to your relationship!